What an amazing reaction from the residents at Tansley seniors' home! The cards were hand-delivered and personally read to each resident. The residents were so thrilled and grateful for the beautiful cards that you all made. This event was the highlight for them and for the students who took such an interest! WONDERFUL! Thank you to all of the students who created and wrote such nice cards. Merci! Social Justice running the annual Coats for Kids Program. To qualify for a $1000 scholarship, we needed only collect 30 coats. Last year we collected WAY more than needed to qualify and benefit from Donnell's generous initiative. We will also have a big box from Donnell Insurance in the front foyer. We wanted to allow two weekends for students to check for coats at home and with neighbours. The drive took place from Nov 18 - 30, . Donnell picked up the coats Dec 2. It's was a win-win for everyone! WAY TO GO, everyone! Join us on Thursday, November 3 for a food drive for Compassion Society! 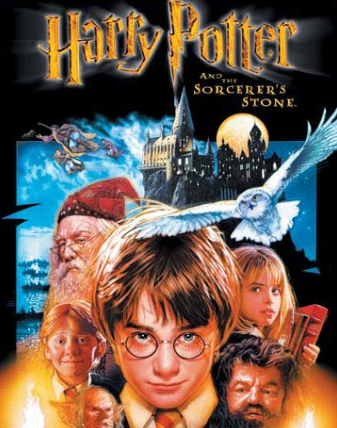 Bring in 3 cans for free admission to see THE PHILOSOPHER'S STONE. Extra donations enters you into a draw for a $35 VISA gift card! ​See you in the cafetorium at 4:30pm. 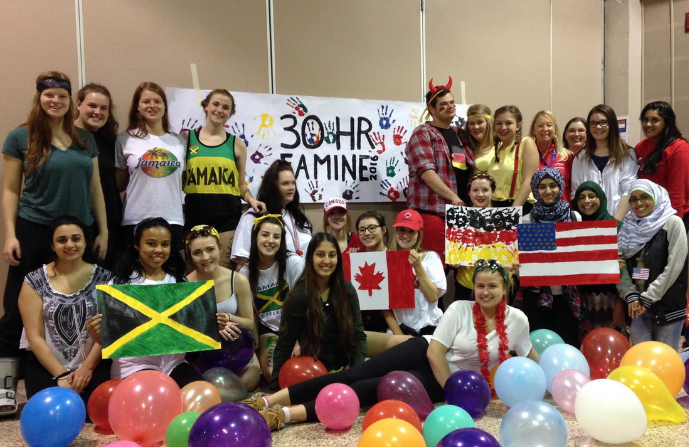 30 HOUR FAMINE - TODAY! Olympic Games, movie and a fun event for a good cause - Thanks to Lilli and Razanne for organizing this!! Our goal of $1000 - reached and surpassed! Period 2 classes - you are AWESOMELY generous!! Meetings - ALL students welcome! What an amazing reaction from the residents at Hampton Terrace! The cards were hand-delivered and personally read to each resident during their Christmas dinner. The residents were so thrilled and grateful for the beautiful cards that you all made. This event was the highlight of my day. WONDERFUL! Samosas for the Malala Fund - Thank you, everyone, for your support! We raised $101 do donate! We would like to do this again, soon! ​Bake Sale for Terry Fox - September 30 AFTER school! AWESOME support! Thank you, everyone! ​WE DAY - October 1 - Thank you for all of the applications! Well written, indeed!